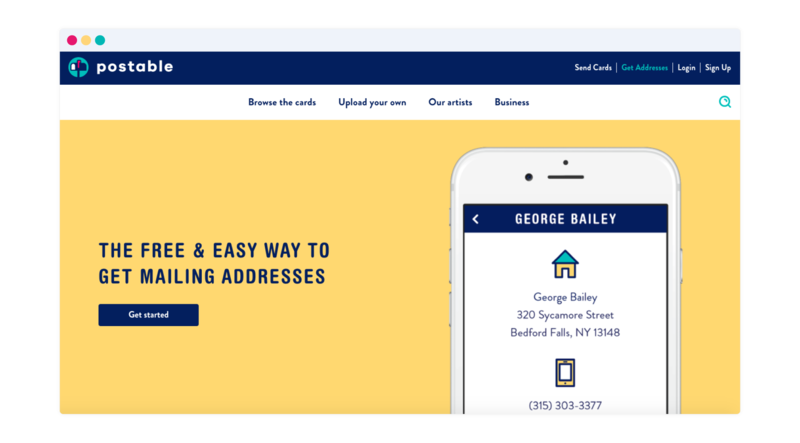 You’ve collected your friends’ and family’s mailing addresses for your free address book and now you’re ready to get even more organized. You wanted a better way to organize your address book and we listened! 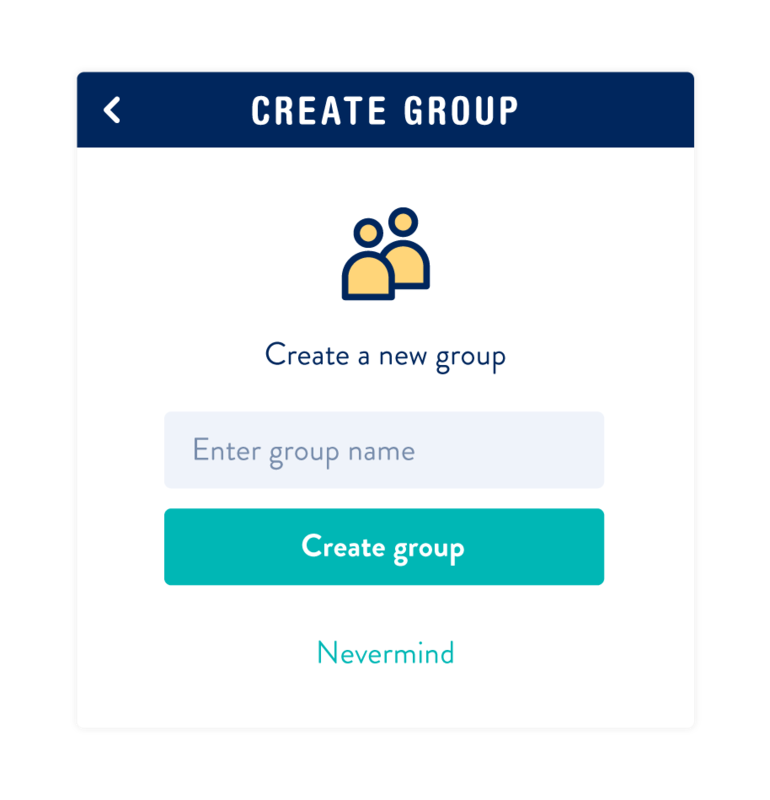 The new groups feature is here and it’s especially handy if you’re planning your wedding or any event like a baby shower. If you’re using Postable to organize your business addresses, using groups can help you cluster clients into specific categories. The new groups feature lets you gather contacts from your address book into categories so they’re easy to find when you’re writing thank you cards to your bridal party or sending baby shower invites to your closest lady friends. Don’t have your very own Postable address book? Sign up here. Click the green ‘Options’ button > click ‘Create a new group’. Next, you’ll want to name your group on the right hand side of your screen. Once you’ve saved the name, you’re ready to add contacts. As you select the contacts, you’ll see the right side of your screen form a list. When you’ve selected everyone you’d like, click the green ‘Save Group’ button. And voila! You’ve created yourself a new group as part of your Postable address book. To view your groups, click on the drop down arrow at the top of your address book next to the ‘All Contacts’. Click on the name of the group here to view and edit the group. 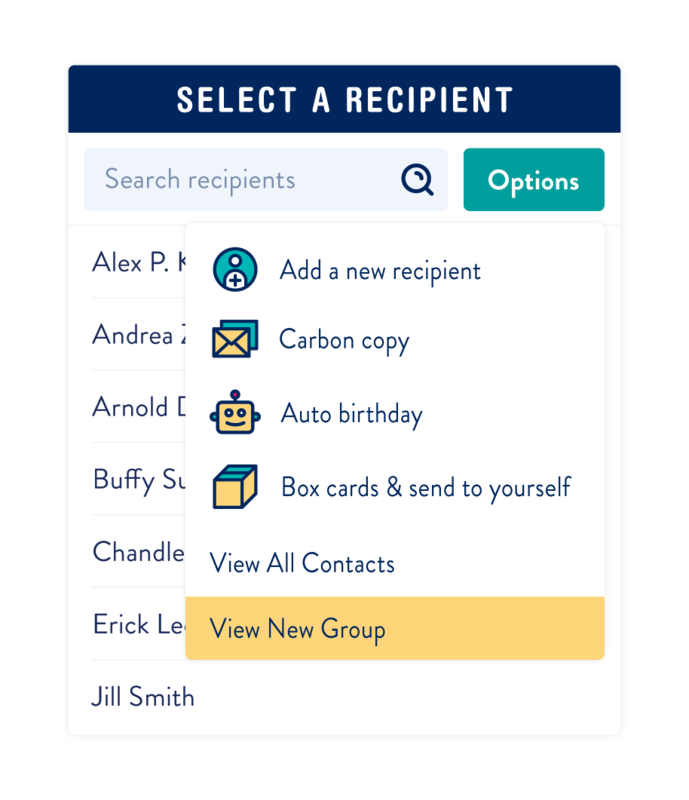 If you’re sending a folded card, you can choose to only view contacts in a certain group or you can use our carbon copy tool to send everyone in a specific group the same message. You can also send everyone in a specific group the same flat card by using the green ‘Options’ button and selecting that group. Is your mind blown yet?! What are you waiting for? Go. Go to your address book and start organizing right away. Or don’t. That’s cool too. But we’re pretty certain this new groups feature may just change the way you feel about all that is organizable in this world. Don’t have an address book of your own? You must be wondering what in the world you’ve been doing this whole time… Not to worry, you can sign up and get your very own free online address book right now. Or tomorrow. Whatever. Although, why you’d want to wait we’ll never know. Also, you can send all these pretty cards without much effort! Is there a way to share a group with friends so that everyone has their addresses? Thank you! Thanks for reaching out. You can export a list of your addresses (including groups) onto an excel spreadsheet and then share that list with anyone you’d like. For any further assistance, please email info@postable.com — they’ll take care of ya! It would be great if I could chose a group when I’m manually entering a contact. It would save time remembering to go back and put them in a group later. I am trying to send a holiday card with my company logo to everyone in my contact list . Under the select a recepient, I have the option of selecting a group or everyone, when I click on everyone, I am not able to send the same card to everyone- how should I do it? I am wondering how I can enter families so that they show up in my address book by last name. For example “Smith Family” then each person would have their individual birthdays separately. As it is now, you have to have one person as the “head of household.” if that makes sense…. Hi Hannah! Thanks for reaching out! There’s no way to have only the family name appear in the address book. There are specific fields in the address book (First name, partner first name etc.) that needs to be filled in. However, when you send cards you can change the way the envelope is addressed to ‘The Smith Family’ automatically with flat cards or manually with folded cards. I may have missed this in the info above but is there a way to just export a group to excel and not every contact? If you export your address book, there will be a column titled ‘groups’ — you can sort by this column and only use what you need. I have all of my addresses for my wedding, and I told me mom we can use them for my shower, and just have you guys send the invites. Is there any way to separate the couples? Just send them to the ladies? Also, it would be nice if you had an option to organize list with the Mr. or Mrs. first. So the lists are uniform one way or the other. Ooooh, I like this. Thanks, guys!